I was contacted by a bright, young obstetrician who has her own practice in Naperville, IL. The existing layout and furnishings were drab and unappealing. Patients like to be in comforting surroundings where they feel secure and safe. That’s why we changed the color scheme from a cold, uncoordinated green, white and pink to warm browns and cremes. The new furniture has feminine appeal, perfect for an OBGYN office. We added custom pillows to make the patient feel like she’s at home. Below are the pictures of the newly redesigned office. Draperies, valances, and top treatments, they add beauty and warmth to your home! 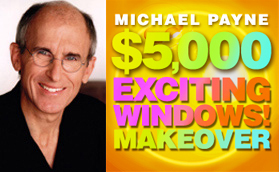 This Naperville client called with a complaint about her living room window. The sun is coming through the transom, causing damage to her expensive furniture and Persian rug. 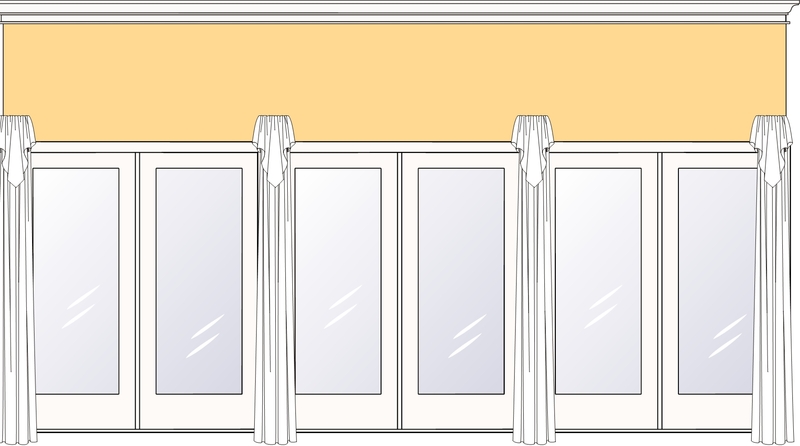 The solution is to start the silhouette shades from above, covering the transom, designing a window treatment that enhances the architectural features in the room as well as the furniture style and the overall room’s color scheme and style. The swags were gracefully raised in the center and dropped below the trim medallions, which was another request the client expressed. The panels have defined and separated each window, and the slim swags drop enough to make a statement, yet allow the transoms to still show as a pleasing architectural element of the windows.